Please do something to help animals this month in the name of Mike Hill. No matter how small the action, they all help in the end. Mike was to nice a person for this world. There was no hurt nor malice in his soul. He thought good of everyone and everything. He was quite, unassuming, softly spoken and gentle. He lived and died for his beliefs. At 4 p.m. Saturday 9th February, Mike Hill was killed in action whilst attempting to sabotage the Cheshire Beagles with the Merseyside Hunt Saboteurs. This article attempts to put the facts before the animal rights movement and to dispel some of the downright lies, distortions and rumours that have been put forward by the police, the press and some ‘officials’ in national animal rights groups. Please feel free to copy all or part of this in any suitable publication. The Cheshire Beagles met at the Red Lion, Little Budworth, Cheshire (just down the road from Oulton Park Motorcycle Racecourse). All afternoon there were repeated scuffles with hunters, punches thrown at saboteurs and a wheel brace was used against one Liverpool sab. Towards the end of the day, still with no kill under their belts that day, the huntsmen boxed up hounds in the small blue trailer which was being towed by an open-top pick-up truck. The kennel-huntsman, or paid official of the hunt, together with another hunter, jumped into the pick-up. Three sabs were nearby, who, on impulse, leapt onto the back of the pick-up hoping to stop the man (Alan Summersgill) from driving the pack off to another location to continue hunting away from the hunt saboteurs. However, Summersgill (pictured right) immediately drove off at high speed, with the three sabs clinging on.For five miles, around country lanes, in icy conditions, towing a pack of hounds and with three sabs perched on top, Summersgill drove erratically and at high speeds. The three sabs, terrified, trying to keep a grip and wondering where these huntsmen were going to take them (and what for) decided that as soon as the vehicle slowed down enough or halted at a junction, they would jump and rung like hell. Unfortunately, it would appear that Mike panicked and, in fear of his life he took a jump from the pick-up as it rounded a bend, having slowed down to what they thought to be about 40 m.p.h. He failed to clear the truck properly and was caught between the truck and trailer which crushed him. The huntsman would not stop but carried on for a further mile, only halting when the second hunt sab smashed in the back window into the cab. The sab was attacked with a whip as he tried to stop the vehicle. As soon as it stopped, the sab ran back the mile to where Mike’s prone body lay in the road whilst another sab, ran to a nearby house to call the ambulance. The huntsman, Alan Summersgill, simply drove off, flagged down a police car shortly after and later in the afternoon handed himself into a police station. Let us make no mistake, Mike’s death was the culmination of the trends over the last 10 years of hunt sabbing on the Cheshire Beagles (and indeed trends that are echoed all over the country with other packs). Firstly, there is a sustained level of violence against sabs and secondly a complete absence of police interest in this violence. There has been not one single prosecution by the Cheshire Police for any of the attacks on hunt saboteurs by the Cheshire Beagles over the last ten years, the worst of which resulted in a Liverpool University student receiving a triple fractured jaw. It would appear not. No charges have yet been proffered against the two huntsmen. Summersgill still walks the street. To our knowledge, the only statements the police have offered to the press indicate that they regard it as a ‘road traffic accident’. 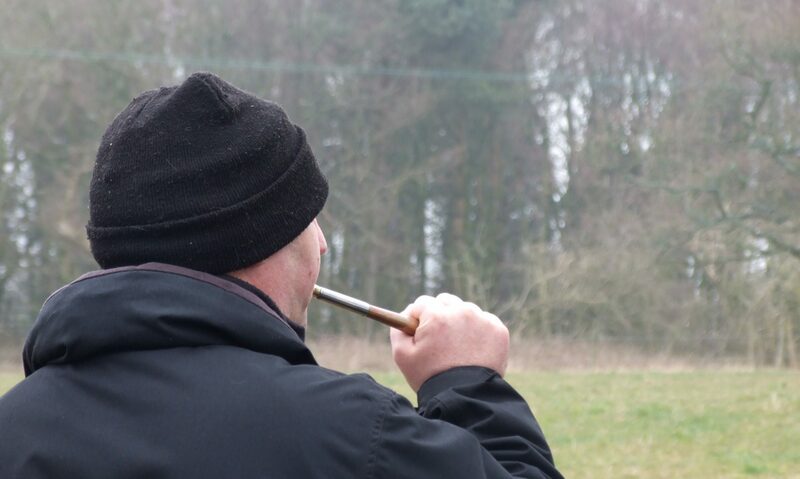 The killing of Mike Hill has devastated his family, his friends, hunt saboteur groups all over the country and at Freshfields Animal Rescue Centre and Heavens Gate Sanctuary. Mike would have wanted us to ensure that we did three things with his death: Firstly, he would not have wanted to have been forgotten. His name, his love, affection, caring for all and dedication to the movement will live on. Secondly, he would have wanted us to pursue the truth, to gain justice for his death. RIP MIKE, a lovely person who did such a lot for animals, unlike the evil scum responsible for Mike’s death, these people should have been charged with manslaughter at the least. It really is time that hunting was banned FULL STOP no stupid laws that nobody takes any notiuce of, so banning it completely is the only way to go. Hunting and shooting are outdated and most of the normal public want it banned for ever. Previous PostPrevious We love our foxhounds we do!! !